Thursday, January 19, 2017 by: Isabelle Z. (Natural News) Some people try to cut their sugar intake to help prevent cavities or in an attempt to try to shed a few pounds. However, even if you are blessed with exceptional dental health and a trim figure, there are plenty of other excellent reasons you should kick sugar to the curb. Consuming sugar can lead to insulin resistance, which occurs when cells can no longer respond to insulin in an effective manner. This spurs the body to produce more insulin to make up for it, and cancer calls need insulin to grow. This means that the connection between sugar and cancer is hard to deny. In particular, scientists have found that cancer cells use fructose in the process of dividing and reproducing. Sugar’s ability to prompt the body to make extra insulin is also linked to high blood pressure and heart disease. The excess insulin stimulates the nervous system, which boosts the heart rate and constricts blood vessels. In fact, a study in JAMA Internal Medicine recently noted that sugar is now believed to be an independent risk factor for cardiovascular disease. Sugar consumption is also strongly linked to type-2 diabetes, especially when sugar consumption is combined with a sedentary lifestyle. While the exact mechanisms of dementia remain a mystery, researchers think that the insulin resistance that comes from a high sugar intake impairs certain brain functions, stunting the brain’s ability to get rid of the plaques believed to cause Alzheimer’s disease. While some people believe dementia is inevitable, leading UK dementia specialist Dr. Naji Tabet says that it can be stopped or delayed in about a quarter of patients who are destined to develop it by reducing their sugar intake and body mass index. As if sugar didn’t already have a lot of very effective ways to send you to an early grave, Taubes points out that it can also join forces with that other deadly habit, smoking, to enable smokers to inhale the toxic smoke of cigarettes more deeply, boosting the absorption of carcinogens and nicotine cravings in one fell swoop. Sugar is so addictive that some experts have labeled it the most powerful addiction in the world, surpassing heroin, nicotine and cocaine. Breaking free from the habit might be one of the best things you ever do for your health, but it will also likely be one of the most difficult. Quitting cold turkey is a common and uncomplicated approach. Don’t make the mistake of turning to toxic sweeteners. Consuming a bit of protein every few hours and sipping on herbal tea can help keep cravings at bay while you get through the withdrawal phase. You’ll not only improve your health, but you’ll also feel a lot better and more energized after a week or two – right around the time those cravings subside for good. 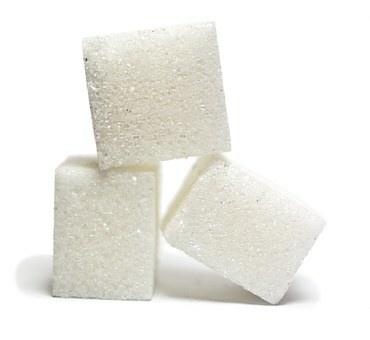 With the average American ingesting 150 pounds of refined sugar each year, Taubes gave the New York Post some interesting food for thought when he said that the single best way to fix the American diet is to cut out nearly all sugar. Previous :Taiwan has banned GMOs in school lunches; when will America protect its children and do the same?